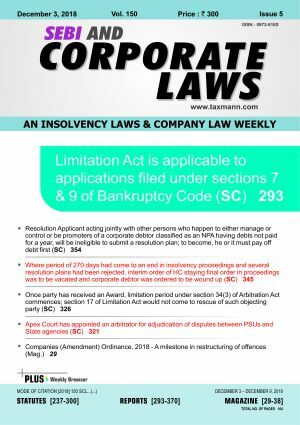 Weekly magazine covering judgments of SC, HC, NCLAT, ATFFE, SAT, CCI, NCLT etc. Weekly browser provides you quick snippets of all statutory changes and landmark rulings. 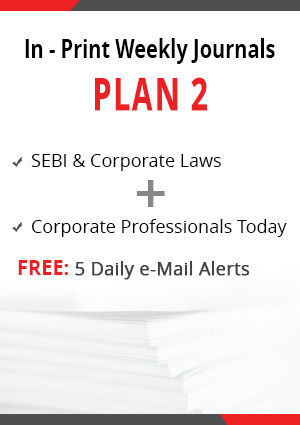 Covers valuable opinions of industry experts on the latest and searing issues of corporate laws. 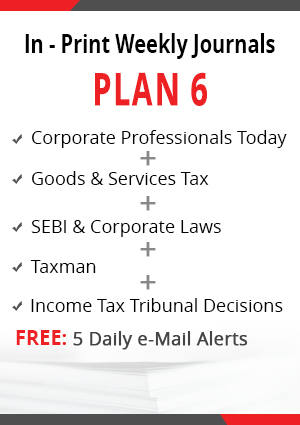 A Daily GST email Service to provide analysis of all important happenings of the Day. A section-wise digest is provided to help one in keeping himself abreast with all such updates. Around 300 bulletins are issued in a year.